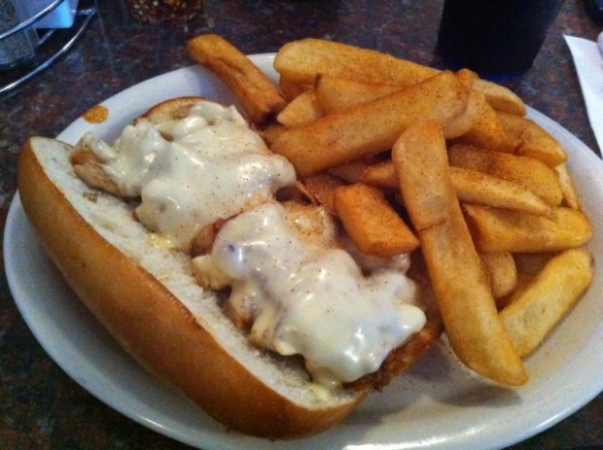 This sandwich features six ounces of cubed tender chicken breast served with melted mozzarella cheese. Served with grilled onions and peppers. Served with our delicious steak fries or substitute baked potato.